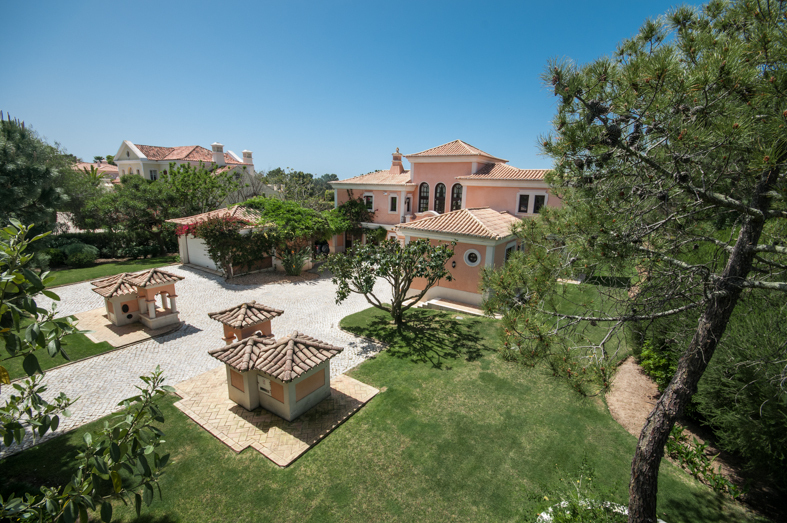 A classical villa in the heart of the resort of Quinta do Lago This 4 bedroom, 5 bathroom villa offer a fabulous south westerly position over the green of San Lorenzo golf course. The villa is built to a high standard with many special elegant features throughout. Entrance hallway flows into a lounge area with separate dining area and access to external terraces with fabulous golf views. 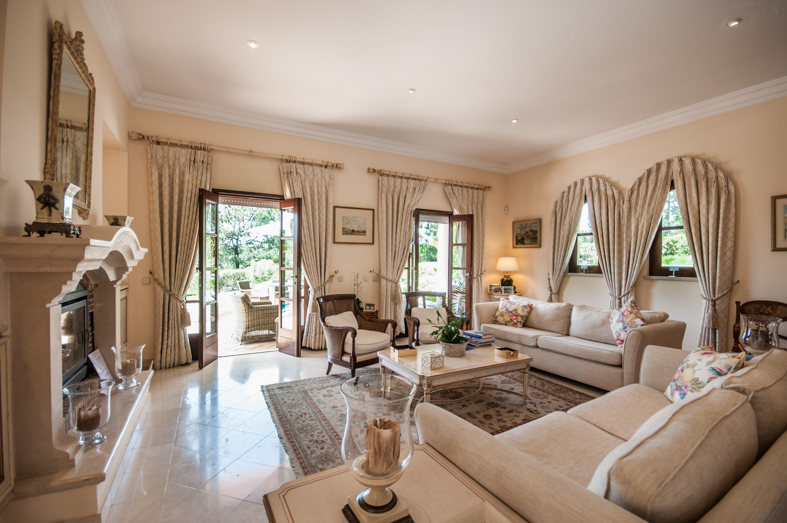 This 4 bedroom, 5 bathroom villa offer a fabulous south westerly position over the green of San Lorenzo golf course. 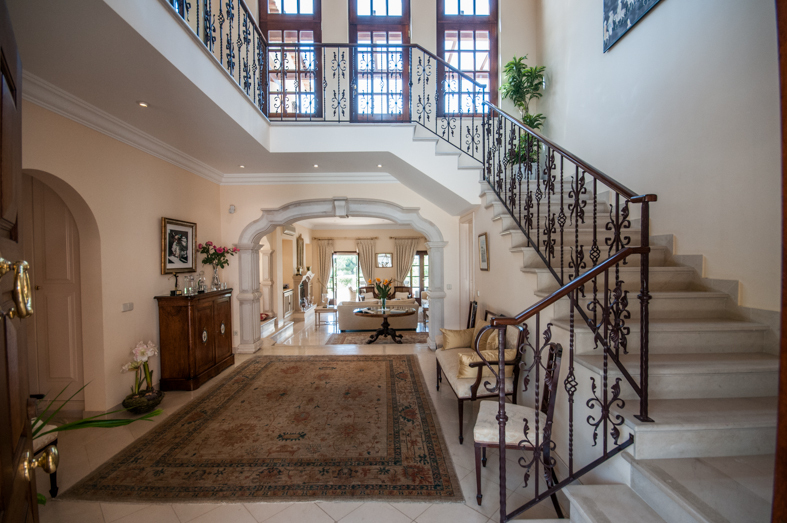 The villa is built to a high standard with many special elegant features throughout. Entrance hallway flows into a lounge area with separate dining area and access to external terraces with fabulous golf views. 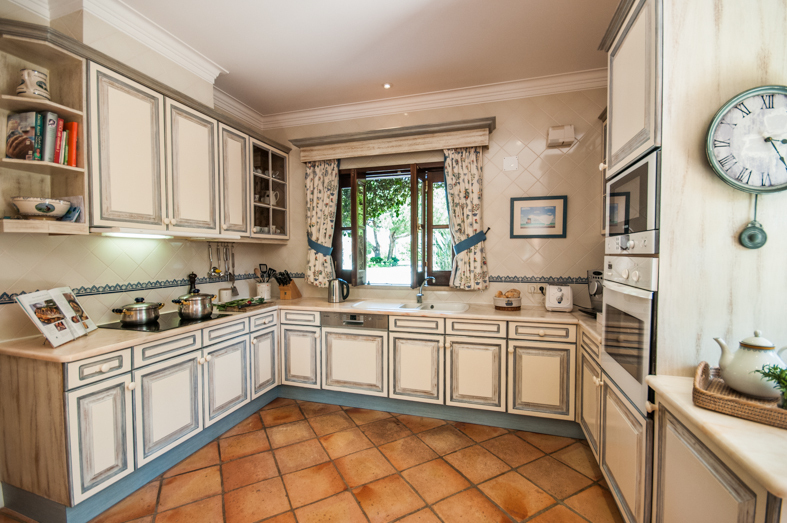 Fully fitted and equipped kitchen which has a separate laundry room. The ground level hosts two bedrooms suites both with access to external areas. Ample gardens with large covered terraces and external BBQ area, Drive with garage. The villa is very charming and well positioned for clients that wish to be close to the nature reserve for the enjoyable walks and the beach of Quinta do Lago.